Auguste Escoffier (1846 -1935) was the first modern celebrity chef.His clientele included royalty as well as leaders of society and fashion. This book traces his career from his humble origins on the French Riviera to Paris, London and New York. Acknowledged already during his lifetime as the greatest chef in the world, with the hotelier César Ritz, he changed the way we eat and the way food is presented. Together they established a tradition of superb cooking. They were also instrumental in making dining in public respectable for women. Escoffier popularised his repertoire in a series of hugely successful cookery books. He shows what made the cuisine at the Savoy and the Carlton so outstanding, as well as drawing a persona: a culinary portrait of a chef of genius. 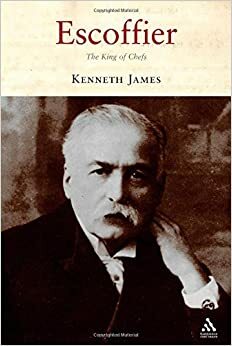 Escoffier: The King of Chefs also presents the dishes, from eggs to lobster, on which Escoffier had both lasting influence and strongly held views. 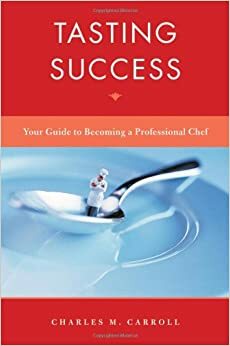 Tasting Success: Your Guide to Becoming a Professional Chef is for every student in the beginning months of their education, or every new employee just starting out in a new hospitality job. It will be an asset to any introductory course in culinary, foodservice, or the hospitality industry, as well as a benefit for career planning or career development courses, intern or externships, leadership, and organizational development classes, or self study. Invaluable lessons and inspirational life stories from champions in the culinary world, the world of sports, and the world stage. A Game Plan to put the tools discussed within each chapter into action for your success. 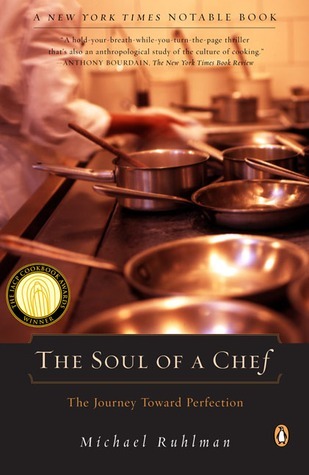 In this book, Chef Charles Carroll expertly coaches students on how to attack their time and plan their future, while giving them encouragement and words of wisdom along the way to ensure success. With its no nonsense, upbeat, and inspiring style, Tasting Success: Your Guide to Becoming a Professional Chef outlines the most important, tangible decisions a young culinary professional can make now to achieve lifelong success, and provides the essential career map every young professional needs to travel the road to culinary career success! This revered collection of articles by the great food writer Elizabeth David originally appeared between 1952 and 1984 in such magazines and newspapers as the Spectator, Gourmet, Vogue, and the Sunday Times of London. David’s writing offers delightful explorations of food and cooking, including the namesake essay and other such gems as “Syllabubs and Fruit Fools,” “Sweet Vegetables, Soft Wine,” “Pleasing Cheeses,” and “Whisky in the Kitchen.” Her many admirers will cherish this new edition, and those new to her writing will marvel at her wisdom and grace. Just over a decade ago, journalist Michael Ruhlman donned a chef’s jacket and houndstooth-check pants to join the students at the Culinary Institute of America, the country’s oldest and most influential cooking school. But The Making of a Chef is not just about holding a knife or slicing an onion; it’s also about the nature and spirit of being a professional cook and the people who enter the profession. As Ruhlman–now an expert on the fundamentals of cooking–recounts his growing mastery of the skills of his adopted profession, he propels himself and his readers through a score of kitchens and classrooms in search of the elusive, unnameable elements of great food. Incisively reported, with an insider’s passion and attention to detail, The Making of a Chefremains the most vivid and compelling memoir of a professional culinary education on record. In his second in-depth foray into the world of professional cooking, Michael Ruhlman journeys into the heart of the profession. Observing the rigorous Certified Master Chef exam at the Culinary Institute of America, the most influential cooking school in the country, Ruhlman enters the lives and kitchens of rising star Michael Symon and renowned Thomas Keller of the French Laundry. This fascinating book will satisfy any reader’s hunger for knowledge about cooking and food, the secrets of successful chefs, at what point cooking becomes an art form, and more. Like Ruhlman’s The Making of a Chef, this is an instant classic in food writing-one of the fastest growing and most popular subjects today.